CEO Jeffrey Friedman (left) and NYS Attorney General Letitia James address the opioid crisis. 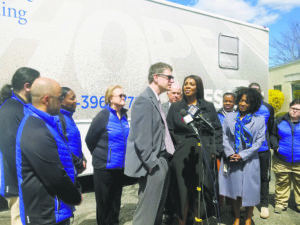 New York State Attorney General Letitia James, who recently filed a 250-page lawsuit against drug makers for fueling the ever-present opioid crisis currently facing our nation and running rampant in our own backyard, visited the Central Nassau Guidance and Counseling Services (CNGCS) center in Hicksville last Wednesday. CNGCS was founded in 1972, and has since grown to provide treatment for thousands of Long Islanders struggling from substance abuse and mental health. However, five years ago the nonprofit organization served 2,000 patients. Now, the center has nearly 7,000 clients—emphasizing the growth in the so-called opioid crisis. In her address to CNGCS Hicksville team members, James emphasized the critical importance of holding accountable those who are responsible for the growth in substance abuse and addiction—specifically the Sackler family of Purdue Pharma, the maker of the narcotic painkiller OxyContin. In 2007, Purdue pleaded guilty in federal court to criminal charges that they did not appropriately market the dangers of OxyContin and its potential to be abused by patients. The pharmaceutical company consequently paid about $600 million in fines and other payments. The CNGCS mobile recovery unit will deliver services directly into Long Island’s most high-need areas. 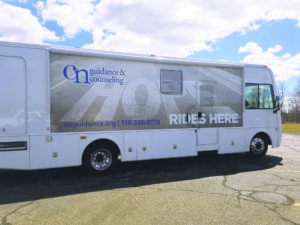 In its most recent effort to deliver exceptional recovery services to the Long Island community, CNGCS unveiled its mobile recovery unit in late February. The state-funded apparatus will allow CNGCS to deliver its services directly into Long Island’s most high-need areas. On board are a registered nurse, a case worker, clinicians, medication-assisted treatment and tele-psychiatry equipment to connect patients with doctors stationed at the Hicksville facility. The unit will travel on a scheduled basis to affected locations, but those in need will also be able to schedule home visits. As the attorney general continues her legal work to bring justice to those who have suffered, or lost their lives, due to opioid addiction, CNGCS brings treatment and healing to victims and their families in a non-judgmental environment. 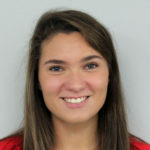 For more information, visit www.centralnassau.org.